VCIC HQ is here to help! VCIC was invented by UNC students, faculty and staff in 1998. It has evolved into a network of single-school and regional events all around the globe. Each event has its own local organization team of students, faculty and/or staff. UNC provides the materials referenced below as well as consultation for organizers. If you have any questions, please contact Patrick Vernon at vcic@unc.edu. You can download and customize all of the handouts, PowerPoints, timers, room signs, etc., needed to run a VCIC event. Tips and templates to help you attract top VC judges and startups to your event. What is required of regional finals host schools and what does VCIC HQ supply? Great for reputation building for your school and networking for yourself. See the list of past VCIC hosts – you will be in good company. You must apply by April 30 to be considered for the following year. If you choose to host a VCIC event, we are here to help. You will not have to reinvent the wheel. We have all the materials to make your job as easy as possible. 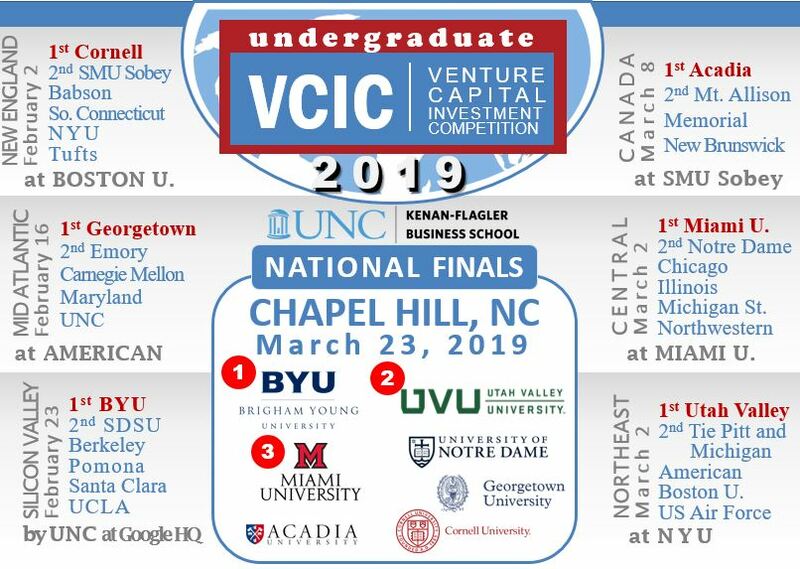 If you host a region, we will send a UNC VCIC representative to help run the logistics for the event. We also help with recruiting VC judges and startups. If you have any questions about hosting a VCIC event, please contact Patrick Vernon at (919) 962-9257 or email vcic@unc.edu.